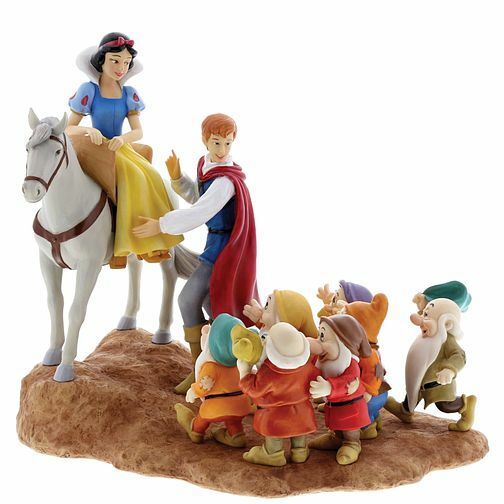 This joyful figurine is inspired by the scene from the classic Snow White film where the awakened Princess, Snow White bids farewell to the Seven Dwarfs and rides of into the sunset with her Prince to live happily ever after. Made from resin. Unique variations are to be expected as this product is hand painted. Packed in a branded gift box. Not a toy or children's product. Intended for adults only.